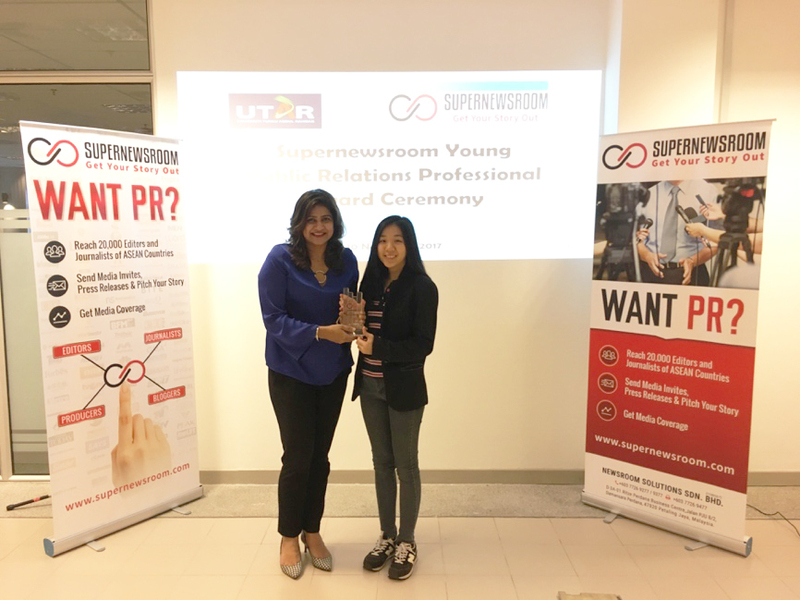 It was a proud achievement when Bachelor of Communication (Hons) Public Relations (PR) graduate Lee Jia Yeng was awarded the Supernewsroom Young PR Professional Award on 10 November 2017 at UTAR Kampar Campus. The award was presented by Chief Executive Officer (CEO) of intelectasia Consultancy and Founder of Supernewsroom Manminder Kaur Dhillon, who is also the Industry Advisor for UTAR’s Department of Public Relations. Also present at the award ceremony were intelectasia Chief Strategy Officer Puspavathy Ramaloo, PR programme external examiner Assoc Prof Dr Amiso George from Texas Christian University, United States of America, UTAR Faculty of Arts and Social Science (FAS) Deputy Dean for R&D and Postgraduate Programmes Assoc Prof Dr Kok Jin Kuan representing FAS Dean Dr Alia Azalea, and FAS’s Department of Public Relations Head Pong Kok Shiong. Lee, the second recipient of this award, who also graduated at the top of her class, was assessed based on her exemplary accomplishments in her academic and co-curricular achievements. Besides receiving a plaque and monetary token, Lee was also offered a job placement at intelectasia. Currently assisting in her family business, Lee plans to start her PR career at intelectasia next year. “The award aims to recognise the talent of students that embodies the same principles of Supernewsroom. Supernewsroom is about innovating the future and persevering to excel, and the students that are embodied with that principle, will be the ones awarded. To achieve great heights, students need to maintain good attitudes, hardworking while working smart, and never lose integrity,” said Manminder. When asked about the secret of her success, Lee mentioned that humility and willingness to learn from every situation has taught her well, as well being appreciative of every person she has met. 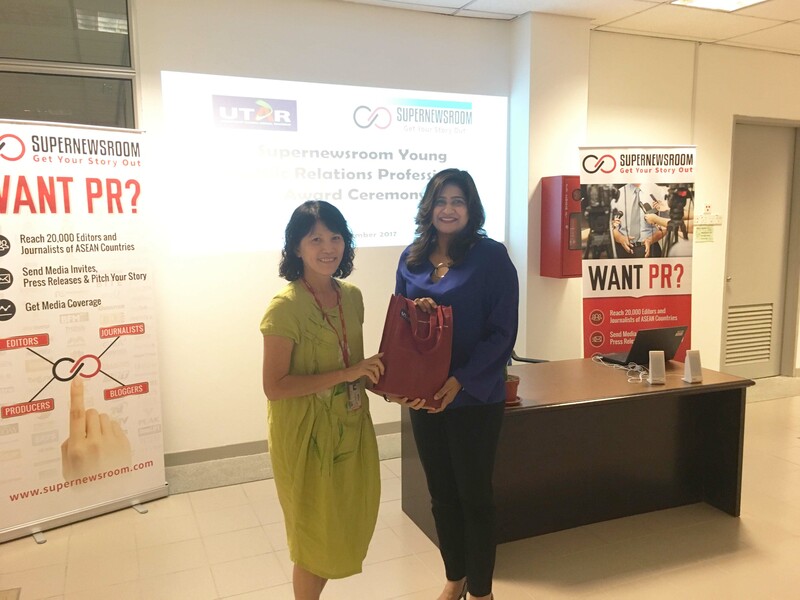 “I am honoured to receive the award and I would like to thank Ms Manminder and Ms Puspavathy for their initiative in motivating public relations graduates to strive and achieve greater heights by acknowledging their accomplishments,” said Lee. 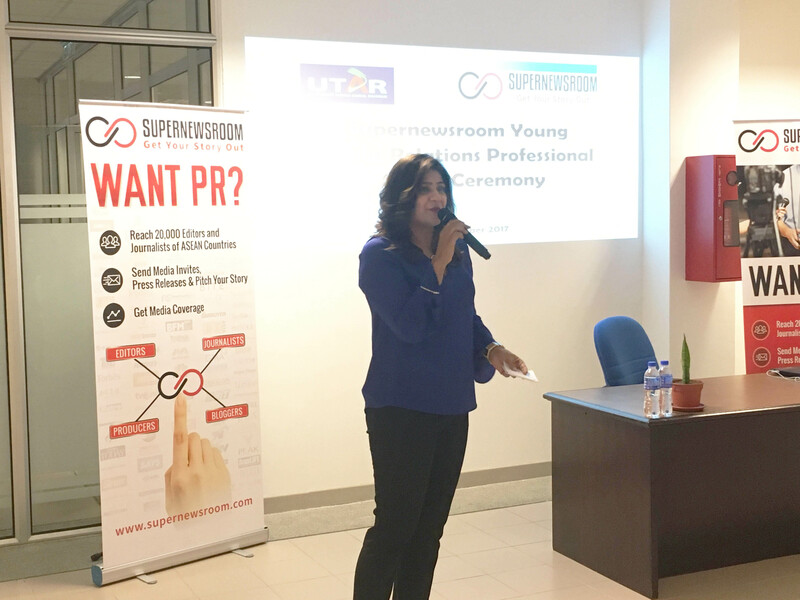 Supernewsroom Young PR Professional Award was inaugurated to encourage and recognise PR students for their exceptional dedication, outstanding achievements, and academic excellence throughout their academic journey. 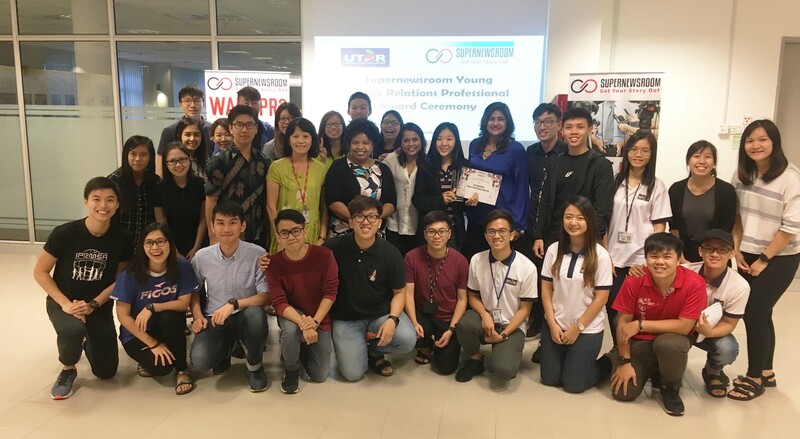 It is an initiative by UTAR and intelectasia Consultancy to understand and appreciate young PR talents who will help contribute to developing a collaborative network for advancing education and vocation. 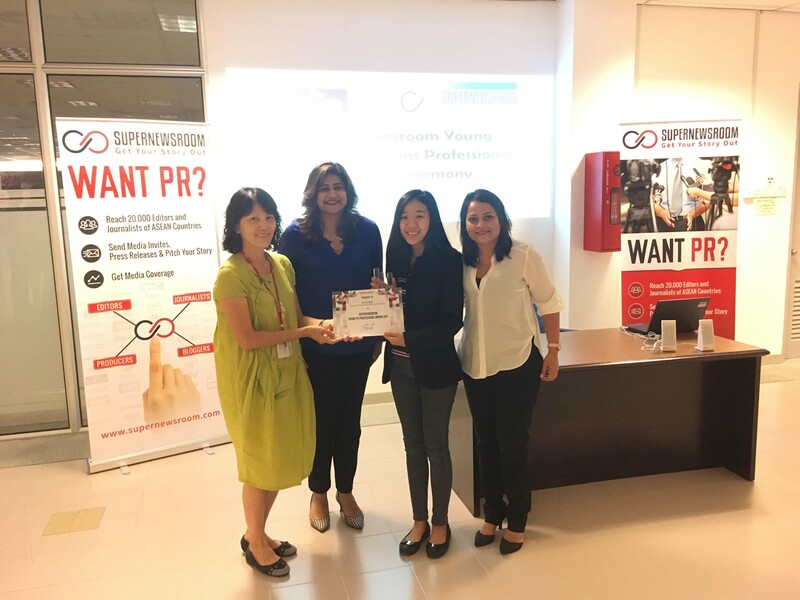 Read about 2016’s Supernewsroom Young PR Professional Award here.